Police received a report this morning that a Westbrook man claimed to have placed a bomb near Lincoln Park. 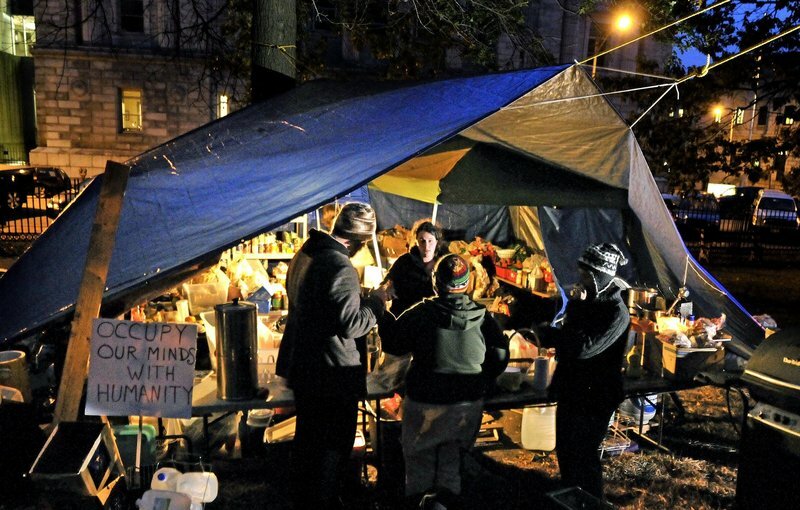 PORTLAND — Police are investigating a bomb threat targeting Occupy Maine protesters in Lincoln Park. The Portland Police Department received a report this morning that a Westbrook man claimed to have placed a bomb near Lincoln Park, according to a news release from the department. The man did not indicate where he placed the bomb, how big it was or when it would detonate, according to the report. Portland police searched the area with dogs trained to detect bombs, but did not find anything suspicious. Police asked members of Occupy Maine leave their tents, which were searched by the canine teams. The interiors of nearby vehicles and the exteriors of the courthouses and Central Fire Station were also searched. Neither the park nor the buildings were evacuated. Police have identified a suspect, and are continuing the investigation with help from police in Westbrook and Bath.